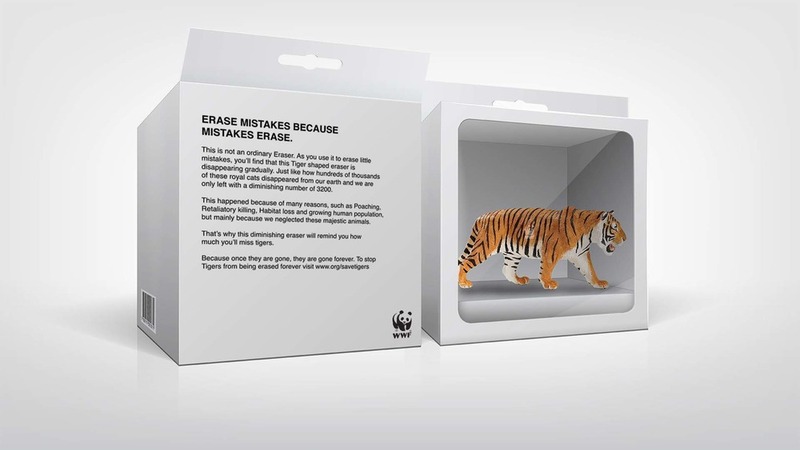 Children in school are not aware that animals, once extinct can't be brought back. To let them know that the effects of extinction are irreversible and they should start taking responsibility from this young age. 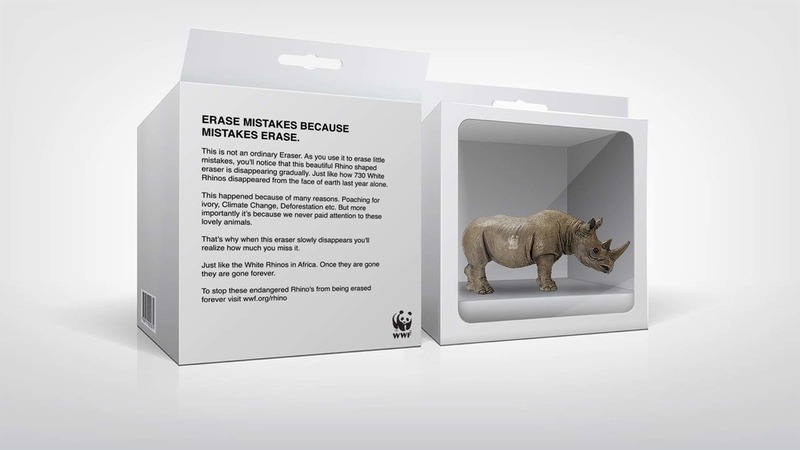 Erasers shaped in the form of tigers, rhinos or other endangered species to show how they are getting erased and extinct when used. 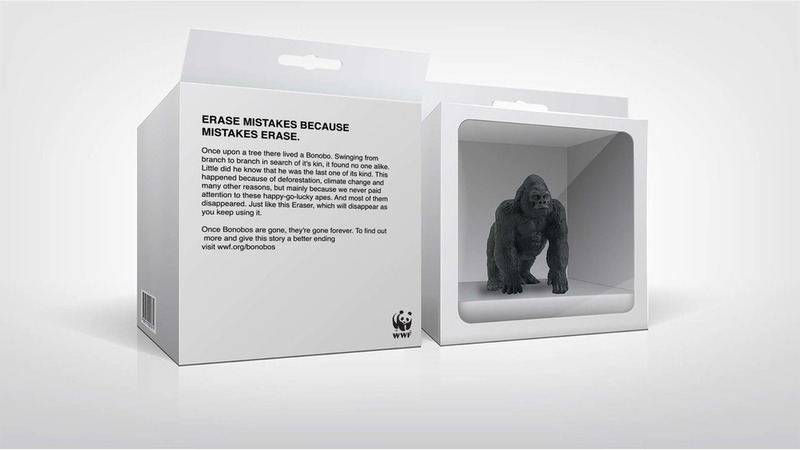 We will have teachers distribute these WWF erasers for free and educate them about impact of our actions on endangered species.